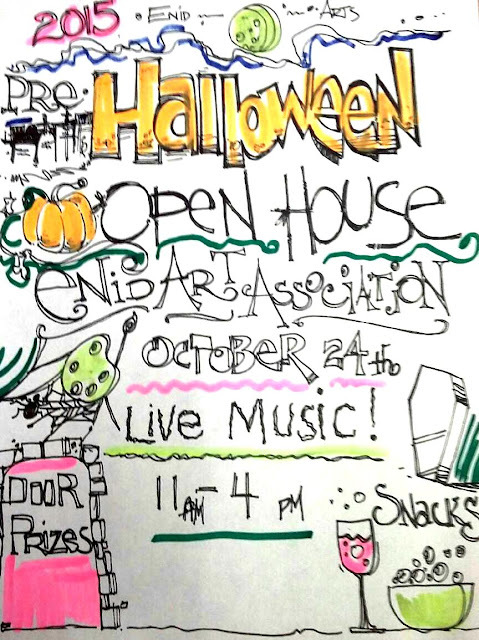 October Events--this weekend and more! Hey blog followers and readers and art lovers and art likers. On Saturday morning from 11am-4pm, the co-op gallery in Enid where I have a space will be having an open house where I will be doing some face-painting. There will be live music and snacks and the member artists will have their work on display for holiday shopping! More info at this event link! 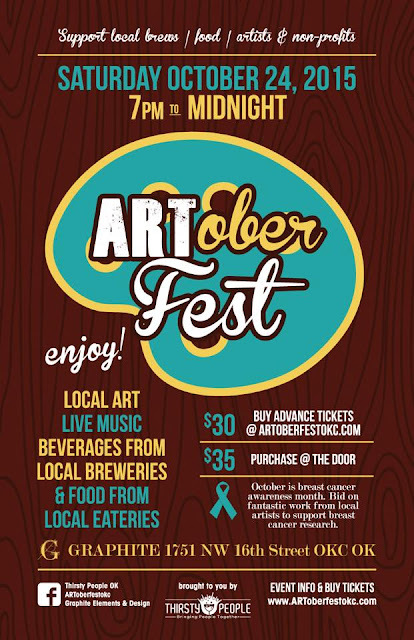 Also on Saturday evening I will have a original oil painting available at ARToberfest at Graphite Element & Design in the Plaza District in OKC, where a portion of art sales and funds raised will benefit Project31 , a nonprofit group helping breast cancer patients and their families. Local restaurants and brewers are pitching in to make this a great event. There are tickets available through the event link or at the door. And don't forget to check out the Oddities and Freaks show and the Day of the Dead Festival at the end of the month!! For more information and updates checkout my Facebook page.